Calendula officinalis is a wonderful easy to grow annual that is your best skin ally. This beautiful blooming flower in the Asteraceae family has been used medicinally since the middle ages. It is easy to grow by sprinkling seeds in your garden with a light covering. Picking the blossoms as they open in June throughout the summer ensures loads more blooms. The blossoms may be single or double with yellow or orange resinous petals. 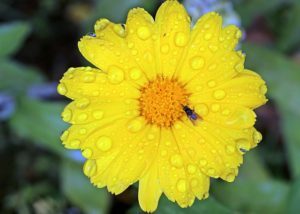 Calendula oil, salve or tinctures can be used topically for cuts, scrapes, bruises, insect bites and minor wounds. Calendula is antifungal, antibacterial and anti inflammatory. 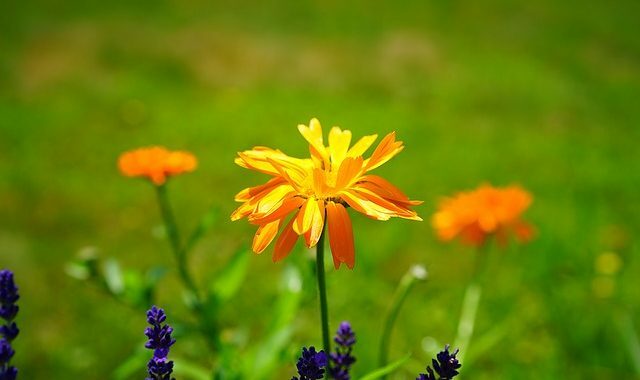 Calendula can be taken internally as an herbal tea or tincture. It can be used for digestive disorders such as ulcers and healing for a damaged gut and cleansing the lymphatic system.